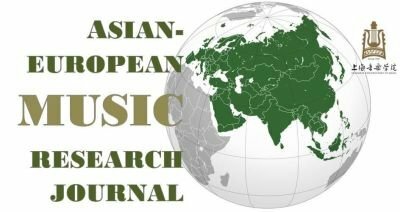 Asian-European Music Research Journal is a double blind peer-reviewed academic journal that publishes scholarship on traditional and popular musics and field work research, and on recent issues and debates in Asian and European communities. The journal places a specific emphasis on interconnectivity in time and space between Asian and European cultures, as well as within Asia and Europe. 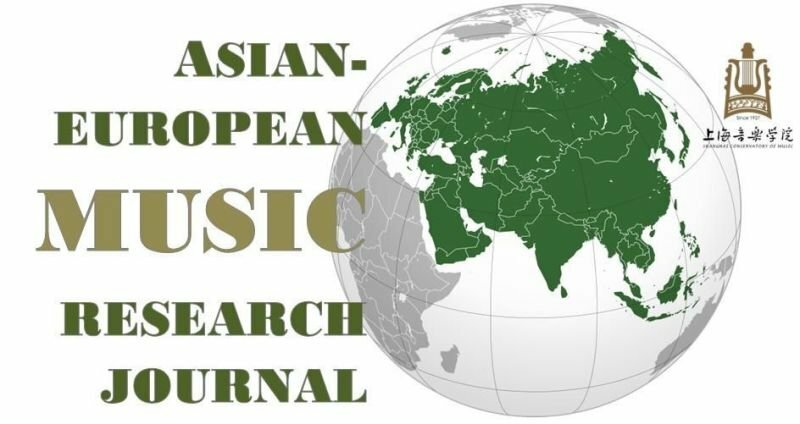 The Asia-Europe Music Research Center at the Shanghai Conservatory of Music (AEMRC), which is the physical site of the journal, is a new academic platform established by the conservatory on the basis of synergetic cooperation between academic institutes at home and internationally. The platform focuses on the study of musical cultures in the geographical arenas connecting Asia with Europe, specifically looking at the flows of musical ecologies and civilizations. It examines and compares the histories and current developments of multicultural practices between Asia and Europe, and explores the reinterpretation of traditional music resources in applied and sustainable contexts. The Centre seeks to promote in-depth academic exchange at home and abroad, with emphasis on interdisciplinary and cross-disciplinary collaborations, including the promotion of cultural diversity in the digital humanities and musical knowledge building. It aims at providing a supportive research and teaching environment with a commitment to the larger interests of equality, tolerance, capacity building and the stimulation of artistic creativity, and the exploration of innovative approaches towards redefining fields of cultural study. The journal is also associated with longstanding ‘key tertiary research bases’ focusing on humanities and the social sciences in Shanghai, including the Chinese Ritual Music Research Center and the Oriental Musical Instruments Museum, both at Shanghai Conservatory, as well as with the work of other departments at the Conservatory. The Center also cooperates with various Chinese and international universities and research institutions. The official email address of AEMR-EJ is AEMRC@shcmusic.edu.cn. (Winter 2018) Welcome to Number 2 of AEMR-EJ! This volume is as diverse as the people who contribute to it. It has 11 items, 7 are topical articles & essays, 4 are reviews. 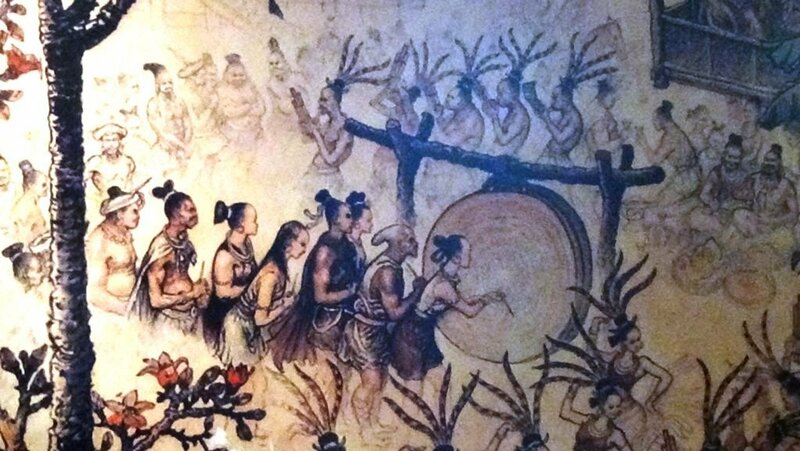 They cover a wide range of issues from dealing with historical sources to globalization, from sound ecology to oral notation and collaboration with communities. These 11 parts of the second volume make up a recommendable point of departure in discussing music, its practice and theory, its role in societies and its existence as meaningful sound. May the audience and the readers enjoy and connect with the ideas presented here. Despite focusing on traditional and popular musics, relevant themes and issues can include explorations of recent ideas and perspectives from ethnomusicology, social and cultural anthropology, musicology, communication studies, media and cultural studies, geography, art and museum studies, and other fields with a scholarly focus on Asian and European interconnectivity. The journal also features special, guest-edited issues that bring together contributions under a unifying theme or specific geographical area. In addition, the journal includes reviews of relevant books, special issues, magazines, CDs, websites, DVDs, online music releases, exhibitions, artwork, radio programs and music festivals. The official email address of the Center is AEMRC@shcmusic.edu.cn. Please, send your full submissions (non-formatted with all your figures and items placed within the text of a word-document and a cover sheet with your personal data) to this email address. The editors will then get in touch with you on an individual basis. Two issues per volume year, June (summer) and December (winter) commencing 2018. AEMR-EJ is a double blind peer reviewed journal. Papers have to be intended to report new scientific findings. They shall describe the findings understandably, give correct and complete references to previous work by the authors and by others (citations), repeat previously published findings only inasmuch as it is necessary for understanding the context, and in a clearly identified form. Authors of scientific publications are always jointly responsible for their content. A so called "honorary authorship" is inadmissible. are not by themselves regarded sufficient to justify authorship. Additionally, institutions, organisations or private persons funding the author’s research have to be acknowledged. Authors are obliged to participate in peer review process, to provide retractions or corrections of mistakes and to state that all data in article are real and authentic. In joint papers, authors have to state that they all significantly contributed to the research. Authors have to list all references used in the paper. That includes written and audiovisual sources. Plagiarism or fraudulent data of any extent will lead to refusal and sanction from further publication. In the process of editing, detection software is applied. With respect to the originality of papers published, it is strictly forbidden to publish the same paper in more than one journal or book series at a time. Reviewers and editors of submitted manuscripts shall be bound to respect confidentiality and to disclose conflicts of interest with respect to the research, the authors and/or the research funders. Judgments should be objective, constructive and based on best scientific practice. Reviewers should recommend relevant published work, including audiovisual materials, which are not yet cited. Reviewers have to respond to a submitted manuscript within a time limit of 6-8 weeks. Editors have complete responsibility and authority to reject or to accept an article drawing on the recommendation of the reviewers. When errors are found, editors have to promote publication of correction or retraction of a paper with mistakes. Editors should preserve the anonymity of reviewers. The editorial board has to monitor publishing ethics. Papers submitted that cause ethical conflicts in any of their parts through plagiarism, fraudulent data, or issues that endanger the integrity of any academic record, have to be withdrawn and the authors excluded from further publications. Retraction of a paper follows the reviewers’ recommendation and a majority decision by the editorial board. In the same way, the editorial board precludes business needs from compromising intellectual and ethical standards. The editorial board is always willing to publish corrections, clarifications, retractions and apologies when needed. Authors as well as readers are invited to address their opinion regarding ethical issues observed as soon as they have been noticed. --> Wendischer Verlag c/o Hartmut Leipner Am Hammergraben 29 03042 Cottbus Co-Editor & Webmaster: Gisa Jähnichen Mühsamstr. 64 10249 Berlin gisajaenichen@web.de 0049-30-4292829 Haftungshinweis: Trotz sorgfältiger inhaltlicher Kontrolle übernehmen wir keine Haftung für die Inhalte externer Links. Für den Inhalt der verlinkten Seiten sind ausschließlich deren Betreiber verantwortlich.